It's hard to believe, but we've finally had enough snow to constitute a snow day here in central NJ. What's really funny about it, is that we got barely two inches and it's more like slush than snow. Meanwhile an hour away in north Jersey, where my folks live, they have been getting pounded by snow storms all season. I was hoping for a bit more of the white fluffy stuff myself. When my little guy woke up this morning he was so excited to see snow and was dying to get outside and play in it. When we did manage to make it outside everything was wet and slushy, so I quickly scooted him into the car. It's no fun to play in slush anyway. Well, since a snow day means no work for me and since my little guy is at daycare, I had plenty of time to work on my submission for the 100th sketch challenge over at the CPS blog. This is so pretty! 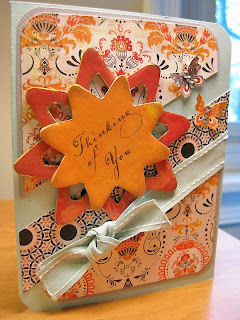 I love that paper, and the chipboard is fab! Great job with sketch 100...thanks for celebrating with us at CPS this week! I live in Montana, and I don't think I have EVER had a snow day. Hee hee...I wish we weren't always so prepared for the snow. Absolutely gorgeous!! Beautiful job with the Basic Gray!! I live in Montana too and we never have snow days! It can snow 6 ft. and be 20 below zero and school will still be in session. I miss snow days that is for sure!! Hope you have a great day!! Gorgeous card! 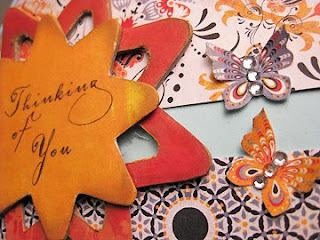 Love those papers & your design...the butterflies are a beautiful touch!